The Vegan MoFo Prompt for today was to make or eat something inspired by a book or film. I went back thru some of my faves and decided to do a collaboration! First up...remember Gopher's Succotash from Winnie The Pooh? I vaguely remember it since it's been so long since I have seen that movie but I do like Vegan Succotash so why not? 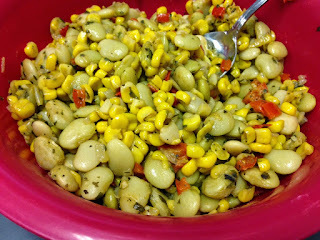 Here's a photo of one of the Vegan Succotash dishes I have done in the past. I think my secret ingredient is a splash of Balsamic it seems to make everything better! Next up is the Porridge mentioned in Beauty & The Beast. I always 'assumed' that Porridge was like Oatmeal. 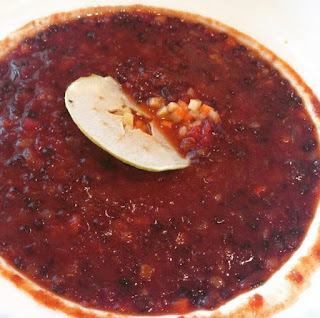 Well, when I traveled to The Breakers in West Palm Beach, Florida, earlier this year they featured this Vegan Porridge on one of their menus and it was one of the most memorial meals I've ever had while traveling! The Porridge was made up of lentils and spices. What you see on top is a single apple crisp with a dab of salsa. I really must make some of this very soon. Of course it will be my own version but something is better than nothing, right!? And FINALLY...I chose the movie...Home Alone. Remember when he gets the Little Nero's Cheese Pizza? Well, here are a few vegan cheese pizzas I have enjoyed over the last few years! First up...is the vegan pizza from Pizza Plant in Williamsville, NY. YUMMO! 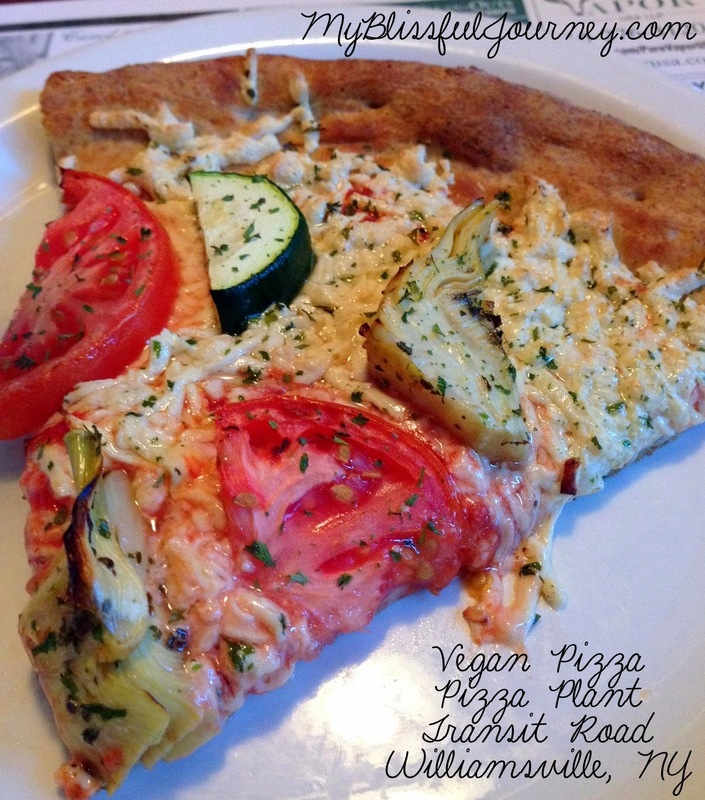 I love The Pizza Plant because of all of the veggie options they offer. I also love their PODS and their Vegan Nachos! I think I will have visit there again, soon! Last year around this time hubby and I traveled to Tennessee and one of the places we went to eat was Mellow Mushroom. It was my first time ever being to a Mellow Mushroom and I was completely stoked they had vegan options including this pizza! They didn't skimp on the veggies either! Comparing the two I think I liked the Pizza Plant Pizza better than Mellow Mushrooms but I do like them both and was so appreciative that both places had options! I couldn't pass up another chance to plug The WNY VegFest! This photo is a picture of the Vegan Taco Pizza that I had last year while visiting WNY's first annual VegFest in Buffalo! We had so much fun that my sister and I went back this year. If all goes well we are thinking about making it an annual tradition! 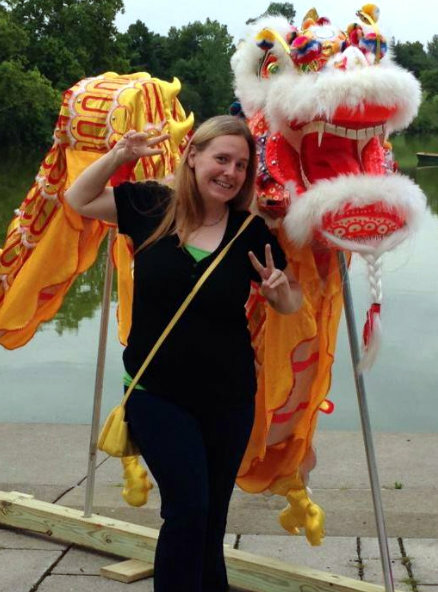 AND...a heads up...2016 I just might be going to TWO VegFests! I heard from organizers in Erie, PA, that they will start holding VegFest in the upcoming year! YAY! 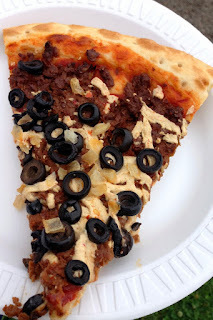 Since this Taco Pizza shown here was more 'fake meat' than cheese and veggies I have to say I like the other two options better but again am pleased they offered this at VegFest, too! And, FINALLY...a Vegan Pizza that I have made all by myself! If you have visited my blog before this might look familiar from a few months back. It's the Vegan Mac & Cheese Pizza I tried making. Sure...it needed a little work on the dough but I am always up front about my LACK of baking skills...this INCLUDES dough! But they flavor was wonderful and I felt like I accomplished something because I did do it by myself! So what do you think about my food? And the films? Everything looks amazing! Really great prompt connection! The pizza you made looks amazing. I struggle with baking too but practice makes perfect right! I love the porridge scene in Beauty and the Beast - when my partner eats something messy he often resembles the Beast in that scene! I've only had one savoury porridge before, and I liked it. The pizza looks great, obviously! That made me laugh about your partner :) Thanks for sharing! I love Home Alone =) I watch it every single year during the month of December as part of my holiday movie marathon (the second one is actually my favourite Christmas movie of all time ;p). Your mac n' cheeze pizza looks insane! I haven't watched Home Alone in a while...might have to do that soon! Hi there, I am a vegetarian but I hhave joined in with Vegan Mofo. Nice to make your acquaintance. I ldidn't know that about porridge, so it was interesting to learn - I have never had a savoury porridge, but that may be because i live in the UK and its a cultural difference. PS I like your 3 selections, I just did one. The 2nd's my favourite Disney animated movie. 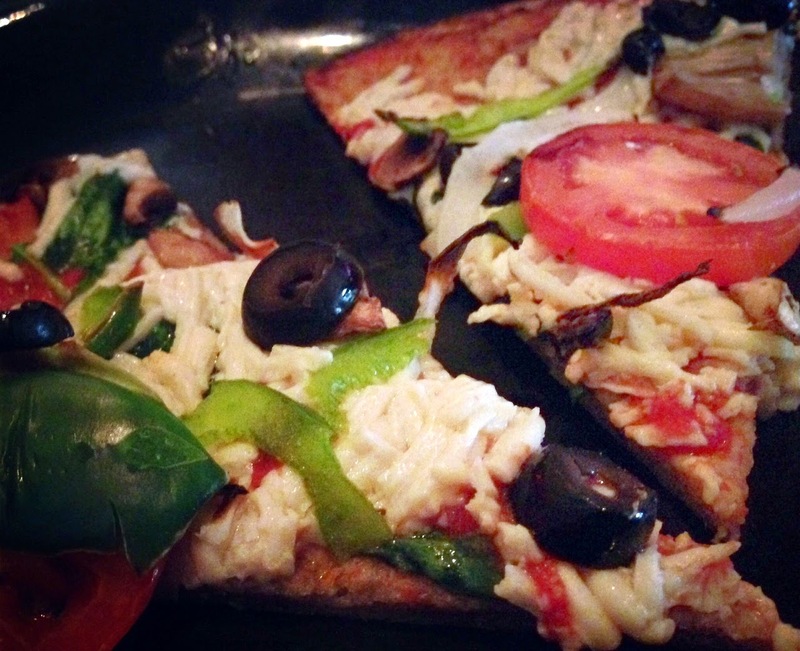 Great foods, love this post and all the pizzas. Yum! Thanks! I could go for a vegan pizza right now! LOL Sooooo hungry! Thanks! I've done that one pretty often! A nice filling dish and near comfort food, too! What delectable film-inspired dishes you chose! I always loved my Mom's succotash. This brings back fond memories from childhood. Thank you so much for sharing your favorite vegan foods inspired by films with us at the Plant-Based Potluck Party Link Up. I'm pinning and sharing. I would love to see your version of Succotash!